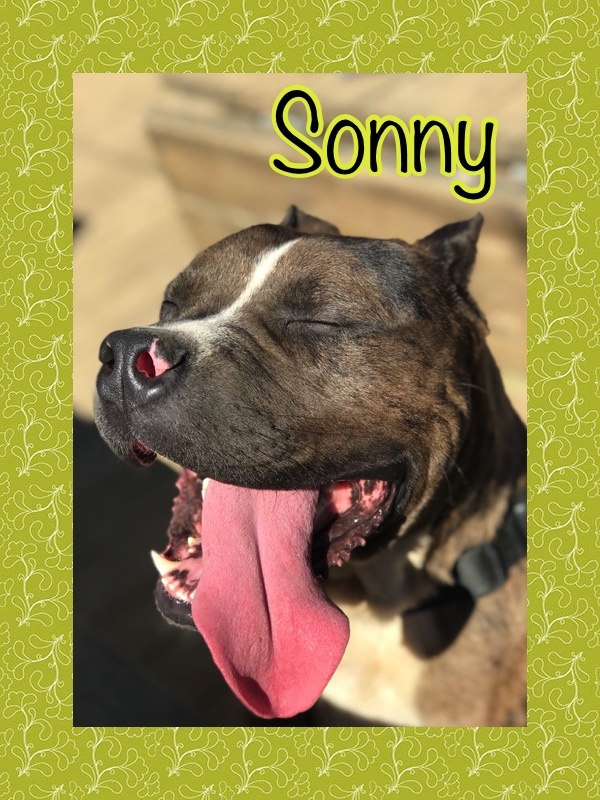 Sonny is a total hunk. He has a big head with an even bigger heart and a perfect personality to go with it! His first year and a half were spent outside on a chain, and he is so happy to finally be able to spend time with people! With the help of his foster sisters he is picking up house manner quick and learning how comfy a couch can be! 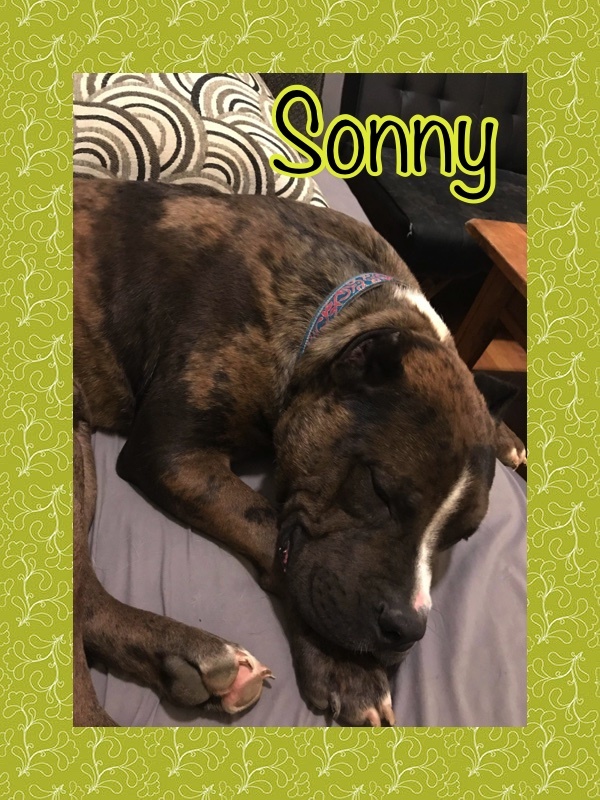 He gets along great with all the other dogs at his foster home, and he loves to play out in the yard with them. He does amazing in his crate and doesn’t bark at all. Oh and did I mention? He absolutely loves kisses and cuddles! He has the perfect amount of energy- he’s not too crazy but still an active boy. 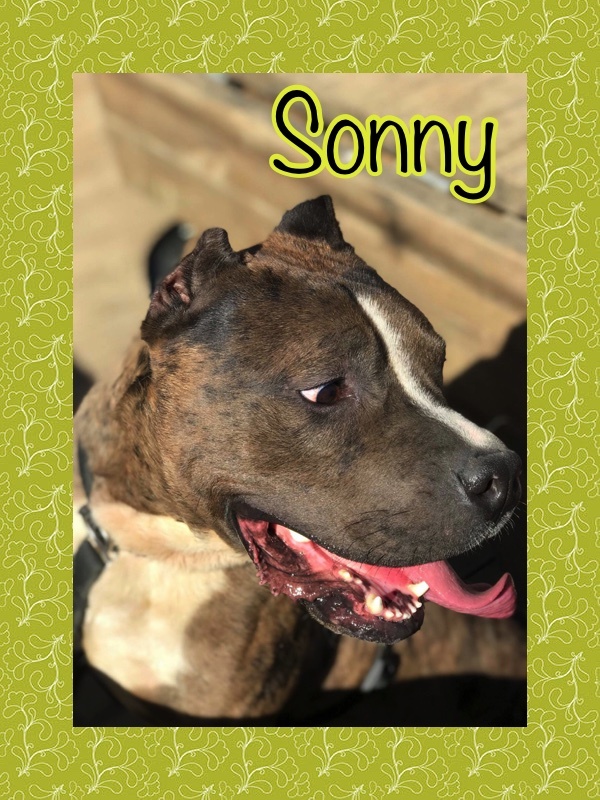 Could you be the one to provide Sonny with a life full of cuddles and love?